A fantasy romantic comedy and drama, About Time holds promise but eventually gets itself into a hopeless multi-tonal mess. 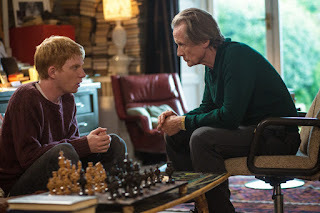 In Cornwall, England, Tim (Domhnall Gleeson) turns 21 and is informed by his father (Bill Nighy) that the men in the family have the special ability to change their fortune by traveling back in time to any event they previously were part of. Tim has never been lucky in love, and so uses his newly found gift to try and improve his success rate with women. He is nevertheless unsuccessful in his attempts to woo Charlotte (Margot Robbie), the best friend of his free-spirited sister Kathy, better known as "Kit Kat" (Lydia Wilson). After moving to London, Tim uses his time travel skills to help his father's friend and abrasive fledgling playwright Harry (Tom Hollander) have a more successful opening night. 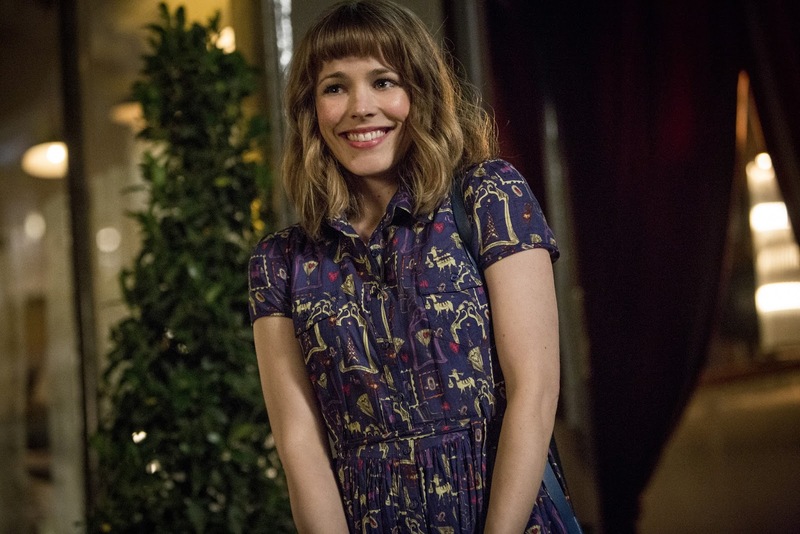 In the process he almost derails a promising relationship with Mary (Rachel McAdams), but then rescues his chances with her by doing more time traveling. Eventually Tim learns that there are limits to what he can and cannot change, and understands the true value of his special gift. Directed and written by Richard Curtis, About Time starts with possibilities and an amusing attitude, mixing playful British eccentricity with droll fantasy elements. The early stages of Tim's experimentation with time travel are engaging, his clumsy but dogged pursuits of first Charlotte and then Mary full of understated charm and soft humour. But unfortunately, About Time effectively unravels in its second half. New restrictions and rules on what is and is not possible with the time travel trick are introduced seemingly at random. Tim zips backwards and forwards in time at dizzying speed, and the film's emotional focus is hopelessly lost. Curtis seems to have partial material for three different short stories, and he bolts them together inelegantly. After barely featuring as a character, Tim's sister Kit Kat suddenly becomes the new focus of attention, before a second jerky gear shift resets the emphasis on the relationship between Tim and his father. The narrative transitions are mishandled and in the process much of the initial charm evaporates, replaced by clumsy attempts at pathos. The film eventually settles for a couple of bland conclusions contradicting much of what Tim achieved with his hopping across time. Domhnall Gleeson is passable as the slightly gawkish youth making his way in the world. Rachel McAdams, about 35 at the time of filming, mails in yet another perky but relatively trivial performance. Well-intentioned but overambitious, About Time gets distracted in too many time zones.